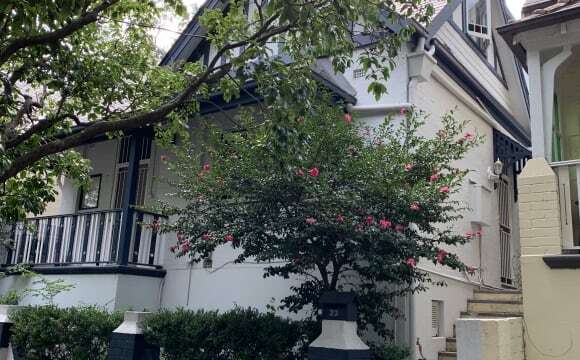 Beautiful spacious 4 bedroom house in Edgecliff. 2 separate areas upstairs and downstairs, 2 bedrooms, bathroom, living, study, kitchenette upstairs; and 2 bedrooms, living, kitchen, dining, bathroom, en-suite, and laundry downstairs. Full kitchen and laundry shared. 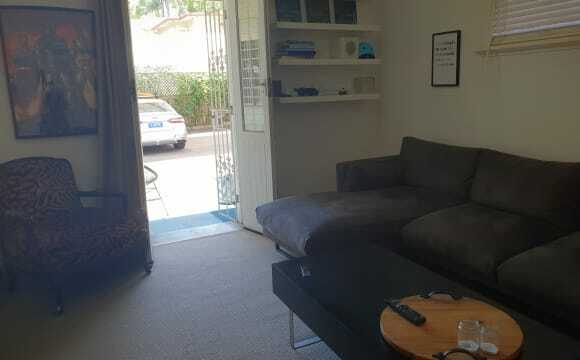 House has Foxtel connected to both living rooms as well as air-conditioning in all bedrooms and living areas. Large balcony, outdoor living and entertainment area off top level. Home is in a quiet street in a safe, up-market inner-city suburb close to city, 5 mins to Edgecliff train, Rushcutters Bay and Trumper Park. Small cosy studio with a common rooftop which offers an Amazing view on the harbour and BBQ. Close to all attraction sites, restaurants and pubs with easy access to public transports. This lovely Studio is great for a single or couple. Fully furnished, the living room/bedroom has a Double size bed , a TV and drawer space/hanging for your clothes. kitchenette with hotplate, Kettle, microwave and a fridge. Spend some time on the beautiful shared rooftop and enjoy the Amazing 360° view on the bay/city. You can also use the free BBQ. WIFI is available in the building: you will get a voucher of 200GB for 5 devices There is a Coin operating laundry (washers and dryers) in the building. The building is only accessed via a secure key. Small cosy studio with a common rooftop which offers an Amazing view on the harbour and BBQ. Close to all attraction sites, restaurants and pubs with easy access to public transports. This lovely Studio is great for a couple or two friends. Fully furnished, the living room/bedroom has a Double size bed , a TV and drawer space/hanging for your clothes. kitchenette with hotplate, Kettle, microwave and a fridge. Spend some time on the beautiful shared rooftop and enjoy the Amazing 360° view on the bay/city. You can also use the free BBQ. WIFI is available in the building: you will get a voucher of 200GB for 5 devices There is a Coin operating laundry (washers and dryers) in the building. The building is only accessed via a secure key. 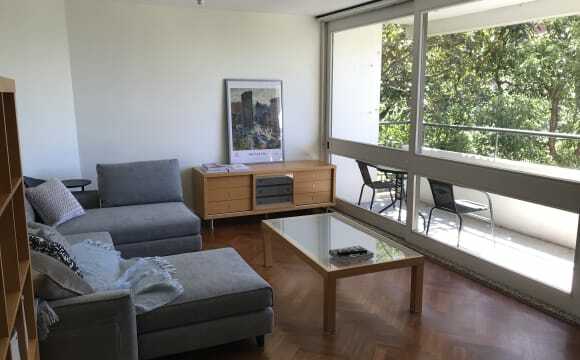 Beautiful and fully furnished terrace house in leafy Paddington. 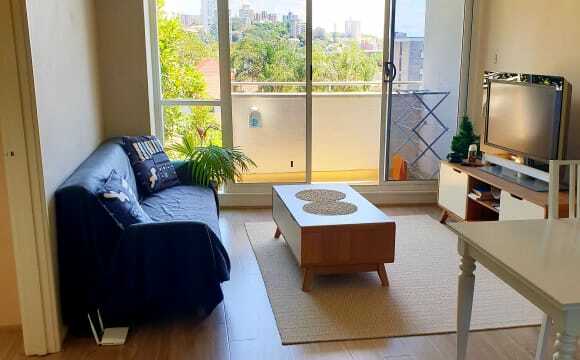 Located just behind Five Ways and half way between the city and Bondi Beach. 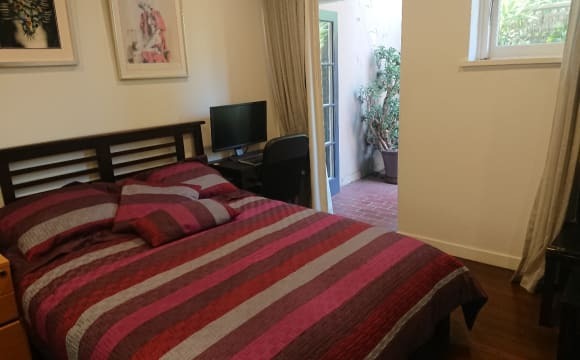 One large room available in a friendly house in Paddington. The room has built in wardrobes and the rest of the flat is fully furnished so you would just need a bed and any other bedroom furniture you want. The rest of the house is really open plan with a lovely courtyard and a BBQ. The courtyard also has awning that can be pulled out so we can even have BBQs when the weather isn't great! There are 2 bathrooms, one with a bath and shower and the other with a shower so we never have any issues with queuing to use the bathroom. There is also an attic room which can be used as a spare room when we have friends over to stay and for additional storage. 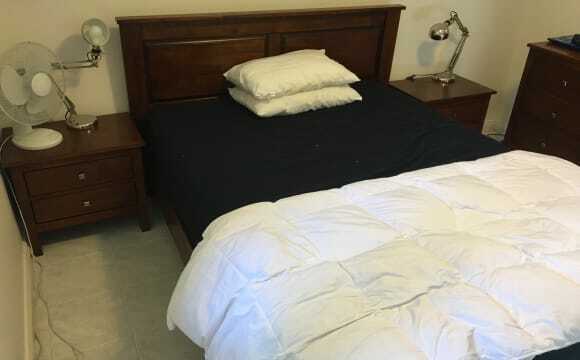 The room is $480 a week for an individual or $500 for a couple. No sharers or smokers though sorry. This flatshare comes with the pictured bedroom along with a separate, spacious kitchen with fridge, gas oven and stovetop. The bedroom and kitchen offer some privacy as they are situated at one end of the apartment. Apartment is a minute from bus and ten minutes walk from Oxford Street shops and surrounded by local cafeterias and restaurants. 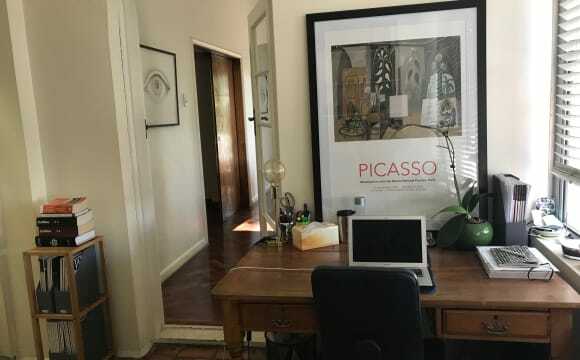 Great double room for rent in a two bed apartment in Double Bay. The apartment features a big living space, fully furnished, aircon and heat. Cosy couch and tv in the living space, extendable table in the dining area. There's a car space in the block if needed. Great location - it's close to Aldi, Coles and Woolies, less than 5 min walk to the centre of Double Bay (handy for nights out in the Sheaf! 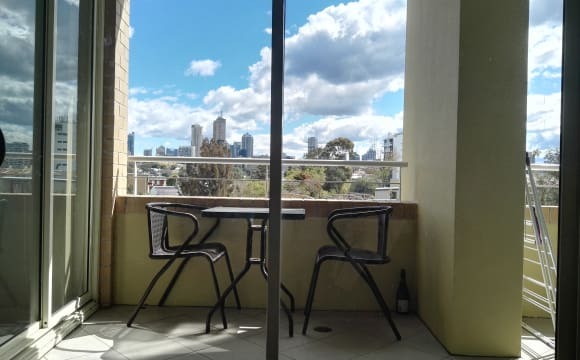 ), 15 min walk to Redleaf beach and less than 10 min walk to Edgecliff station which has both buses and trains to Eastern suburbs and into the city (20-25 min door to door to Martin Place). Short term rent while im going travelling! 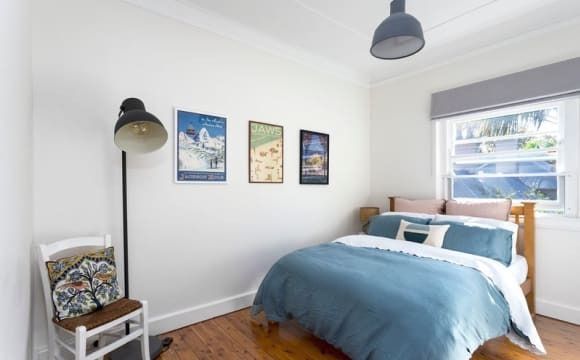 Queen Size room in a beautiful Paddington terrace from July 17th to August 10th 2019. 3 mins from 5 ways and 4 mins from oxford street. Can also walk to bondi and the city or a short bus ride/ $4 uber pool! WiFi available. 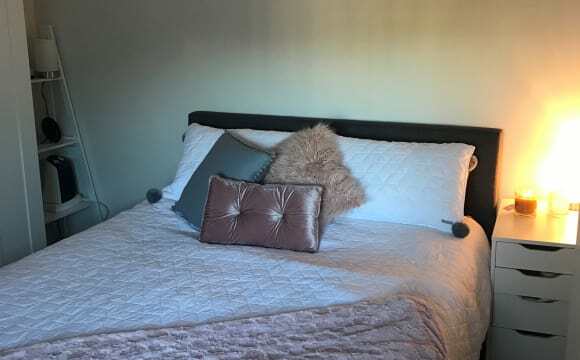 Room available in the heart of Double Bay from April the 13th. Room is large and we welcome you to make it yours! Ideal move in time would be the weekend of the 19th. The room is unfurnished. 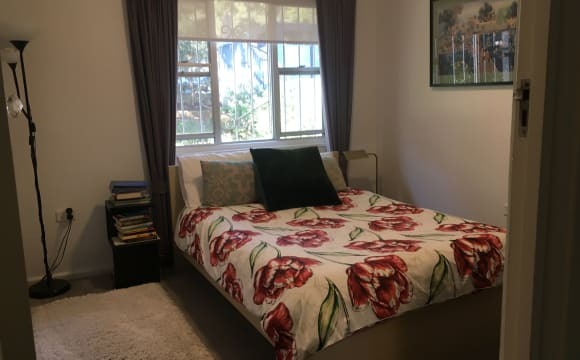 - Washing machine and dryer - Plenty of street parking - Edgecliff station 7 minute walk - Buses to City and Bondi Junction around the corner You'd be living with two other females. I have recently got a puppy, her name is Ace, and she is the sweetest little thing so #mustlovedogs! But don't worry you won't be responsible for her. Internet, gas and electricity are all split evenly and we are looking to get a cleaner that will come once a month. Carpets were recently professionally cleaned.